Union forward Fafa Picault kicks the soccer ball against Real Salt Lake on Saturday, May 19, 2018 in Chester, Pa. The Union played to a 2-2 tie Saturday night at Orlando City, and, while it's an OK result, the way they got there wasn't. After Fafa Picault put the Union ahead, 2-1, in the 88th minute, Scott Sutter took the lead away with a goal in the 91st. Orlando opened the scoring in the ninth minute, as Dom Dwyer headed in a Yoshimar Yotún free kick from the right wing. The Union tied the game in the 32nd courtesy of Cory Burke, who rose high to knock home a powerful header of a Borek Dockal cross. It was Dockal's 14th assist of the year, tying him for the league lead, and Burke's team-leading seventh goal. Orlando spent much of the time between the goals committing fouls, not all of which were called. And they continued after Burke scored, including a crunching tackle leveled by Cristian Higuita on Dockal in the 36th minute. Dockal tried to keep playing, but had to surrender in the 40th minute. He was replaced by Derrick Jones, who isn't a playmaker, but is well-equipped for a rugged contest. With under three minutes to go, Picault scored an amazing goal to put the Union ahead. He dribbled into, out of, and through multiple holes in Orlando's defense, then unleashed a shot from just outside the 18-yard box that deflected into the net off City defender Shane O'Neill. 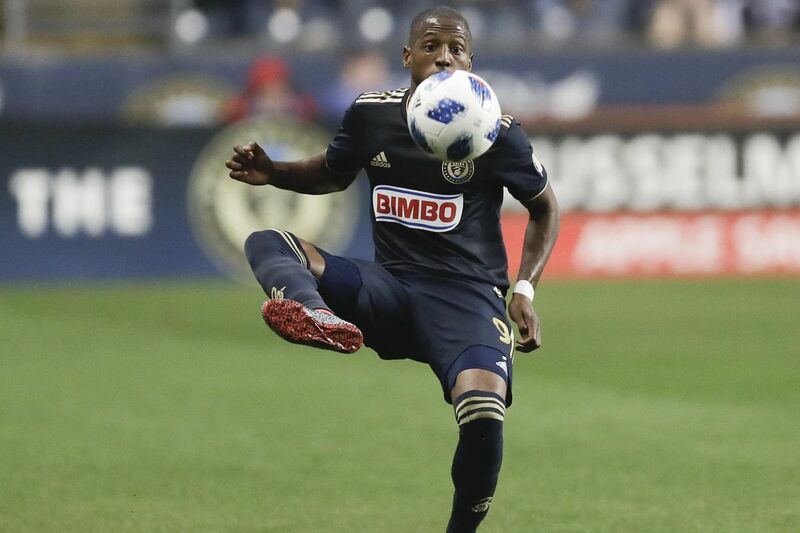 It was a stunning strike, perhaps among the most spectacular individual goals in Union history. But it would not stand as the winner. Orlando tied the game barely a moment later, with Sutter getting the final touch as Orlando swept into the Union's 18-yard box. It was a bitter way to end a bitter night. That said, the Union went undefeated in this three-game swing, with two wins and a tie. At 12-11-4 (40 points), they remain on course for the playoffs. Forgive them, though — and forgive their fans — if it doesn't feel so good in the short term.